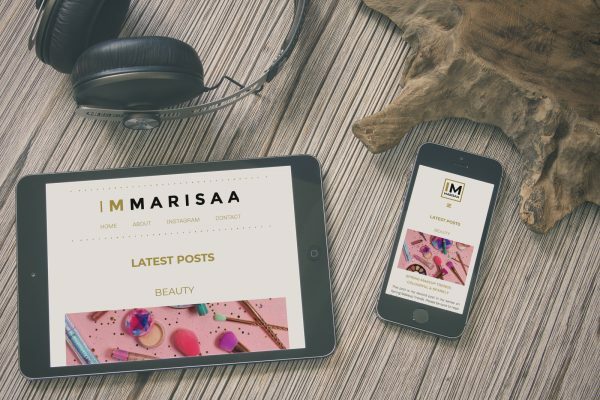 WordPress theme for Marissa Putri's blog. 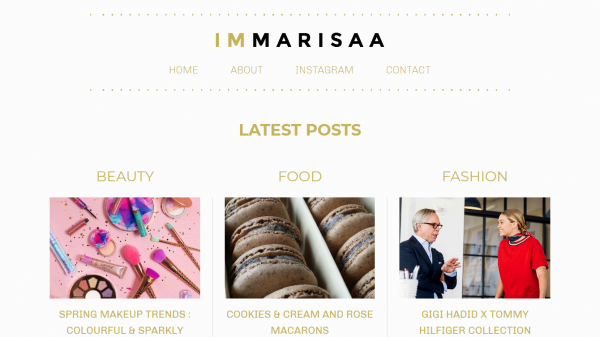 I’mMarisaa is a beauty, lifestyle and fashion blog run by Marissa Putri. 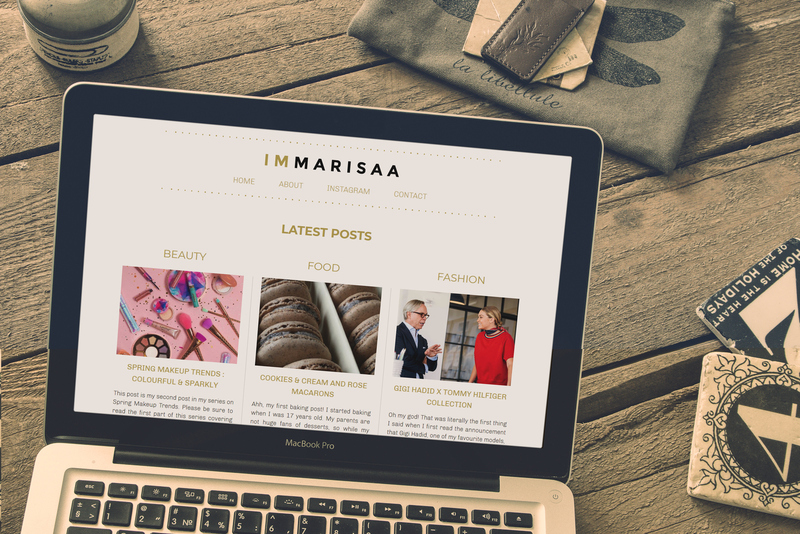 She wanted a new design which felt elegant and professional. Something which—in her own words—looked more “chic”. The old design was generic and did not give off a classy vibe. We decided that the side should look modern, yet somehow classical. 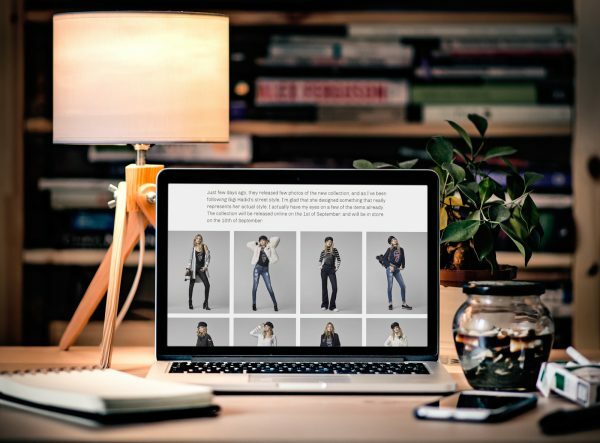 At the same time, we wanted something different from the single column layout most blogs use. 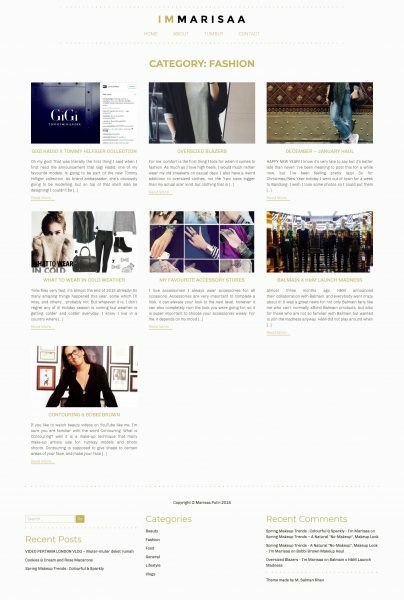 We decided to go with a three-column layout which is somewhat reminiscent of a newspaper layout. 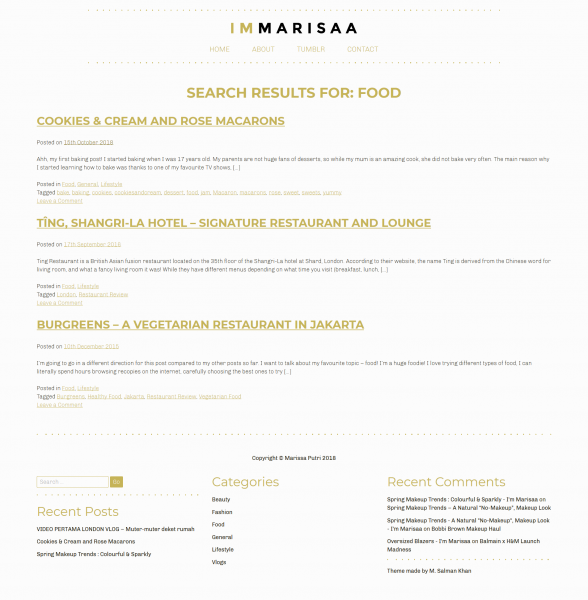 This layout also helps immediately show what the site is about, as it allows for the three main category titles (Beauty, Food, Fashion) to be the first thing which visitors see. We also chose the typeface based on this criteria. 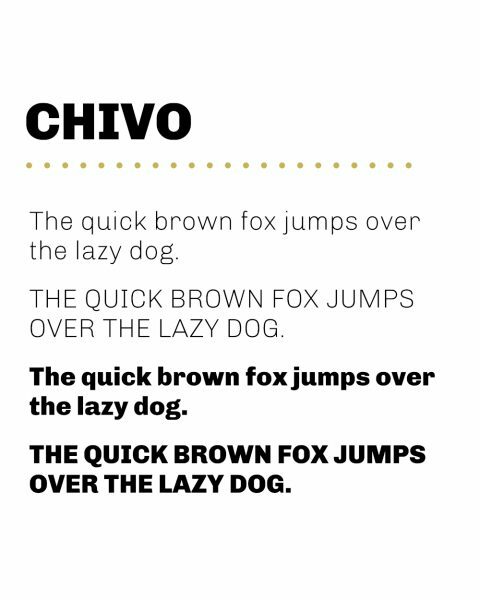 For the primary typeface, we use Chivo, which is a very modern typeface with a strong personality. It has small details, such as the slabs on the I, or the double-story g which are somewhat reminiscent of a traditional serif typeface, and help give the site a somewhat more sophisticated appearance. 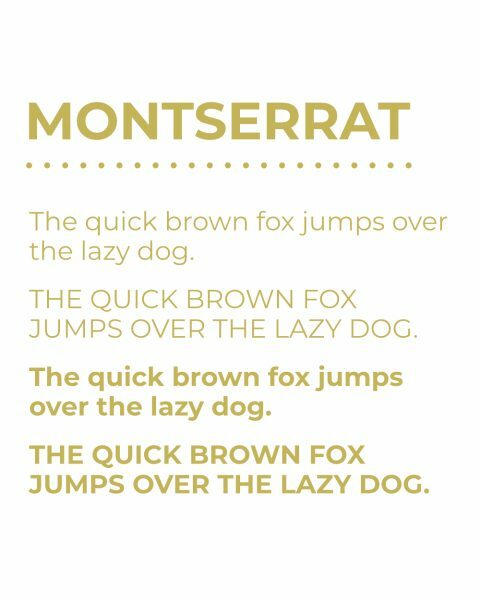 The secondary typeface is Montserrat, which unlike Chivo, is very much designed to be as simple as possible, giving the site a much more elegant feel. The colour palette is gold and black. Gold is a very rich colour, associated with luxury and wealth. In contrast, black is very muted and gives a very sophisticated appearance. 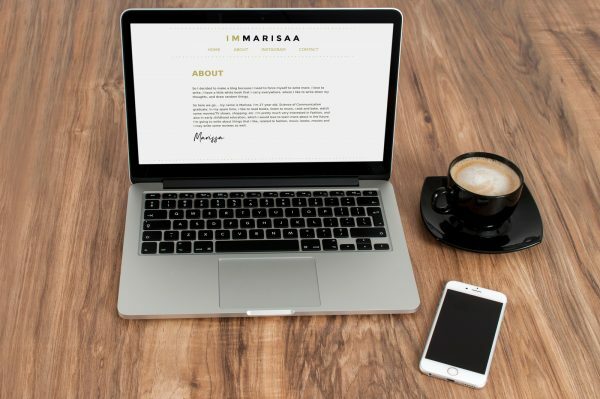 In addition, the gold allows for printing effects such as gold foil stamping to be applied to print media such as business cards, newsletters or compliment cards. Shoot me a note—I promise I don't bite! Allergy, Asthma and Sinus Centers inc.